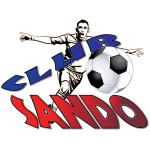 Club Sando, Police and Central FC, all one point adrift of the leaders, stand a chance at pipping Connection to the title and a place at the 2020 CONCACAF Caribbean Club Championship (the region’s qualifier tournament to the CONCACAF Champions League and CONCACAF League) which goes to the top two domestic finishers. 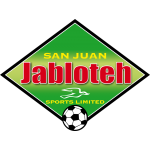 Sando will clash with Morvant Caledonia United from 6pm at the Hasely Crawford Stadium followed by San Juan Jabloteh against Terminix St. Ann’s Rangers from 8pm at the Mucurapo Road venue, while at the Ato Boldon Stadium in Couva, Central and Police will lock horns from 6pm before Connection takes on last season’s champions North East Stars from 8pm. A win, however, for Sando and or Police or Central put them ahead of Connection, forcing the “Savonetta Boys” into a must-win situation against table-proppers North East Stars, a side fresh off their 21st loss of the season in all competitions (22 games)--a 4-1 defeat against Defence Force in a rescheduled league fixture on Wednesday. 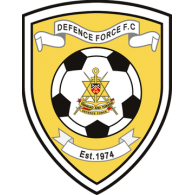 Devorn Jorsling scored his 166th and 167th career Pro League goals lift Defence Force in front after Kordell Samuel, with his third goal from as many matches, had put North East Stars ahead at the Hasely Crawford Stadium after just seven minutes. Jorsling, 34, the all-time Pro League top scorer, scored in the 11th and 28th minutes, his second off a rebound after goalkeeper Javon Sample charged down an effort from Hashim Arcia, before Darius Ollivierra cushioned the “Tetron Boys” 3-1 with a blast from the right off a Jerwyn Balthazar feed three minutes from the half. Jorsling twice failed to complete his hat-trick in the second half, but substitute Kerry Joseph put the contest out of North East Stars’ reach with a rocket past Sample from the left in the 75th minute to complete the 4-1 win against a side that registered just one win in all competitions this season. Connection, however, are taking no chances against the side anchored at the bottom of the standings. Fevrier and his Connection staff have been preparing for nothing less than a win against the side they defeated 7-1 in the season-opening Charity Shield on June 1. 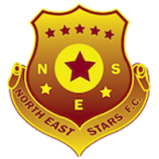 North East Stars, less than a shadow of the league-winning team of last season under then coach Derek King, however showed signs of improvement losing just 2-0 fifteen days later against Connection in the group stage of the First Citizens Cup before holding Fevrier’s men to a shock 1-1 draw in the league on September 22. 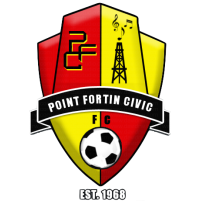 A win now for North East Stars against Connection will end Zoran Vranes’ men on high spirits against the side they will join at the 2019 CONCACAF Caribbean Club Championship as last season’s PL champions and runners-up respectively. 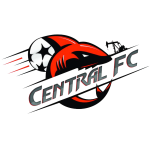 Sando’s ambition to qualify for the Caribbean Club Championship has been boosted by the team’s recent form of five straight wins and a seven-game undefeated run while Police and two-time former Caribbean champions Central are eager to return to CONCACAF status. 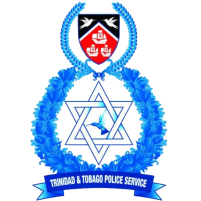 Eve, T&T’s most-capped international, heaped praise on the Ministry of Sport and Minister Shamfa Cudjoe for “seeing the importance of developing young people and keeping them away from the streets”. He said the Ministry’s financial assistance to clubs also helped in levelling the playing field and that two matches ago, seven teams were still in contention for a CONCACAF qualifying spot. “We (Sando) were aiming for a Caribbean Club Championship spot so it was either first or second,” explained Eve, who said the ambition of the club’s chairman Eddison Dean is to develop young players for the national team and progressing to an international level of competition fits in Sando’s plans. 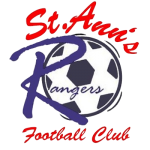 The Sando coach, on his team’s recent string of performances said winning is a by-product of a number of contributing factors as his team continues in the development of his young team led by experienced forward Tyrone Charles, who current leads the league Golden Boot race with 17 goals, two more than Police FC’s Kareem Freitas and Connection’s Marcus Joseph. 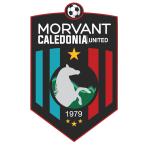 Sando scored 25 goals in their last seven outings, more than any other team but Eve is wary of Morvant Caledonia, the team his side had to wrestle a 5-3 win over in September. Eve will square off on the sidelines with Morvant Caledonia head coach Jerry More for a second time in four days after leading Naparima College to a penalty win over San Juan North Secondary, coached by Moe, in the National Intercol final to complete the Secondary Schools Football League (SSFL) 2018 treble as Premier Division, South Intercol and National Intercol champions. 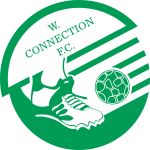 W Connection vs North East Stars, 8pm at Ato Boldon Stadium.